(VIDEO) News Regarding Her Majesty Queen Rania of Jordan. On Tuesday, November 24, 2015, Her Majesty Queen Rania of Jordan met with the Director-General of the Arab Reading Challenge, Ms. Najla Al Shamesi, in Amman. During their meeting Her Majesty was informed about the Arab Reading Challenge initiative which “…supports for efforts to increase awareness on the importance of reading among students in the Arab world…” writes the Jordan Times. Established in September 2015 by His Highness Sheikh Mohammed Bin Rashid Al Maktoum of Dubai the Arab Reading Challenge is noted to be largest project aimed at encouraging students in the Arab world to read, with more than a million students committing to read 50 million extracurricular books every academic year. (VIDEO) HRH Prince Harry of Wales Visits Maseru, Lesotho. On Thursday, November 26, 2015, His Royal Highness Prince Harry of Wales visited Maseru, Lesotho, on behalf of the charity, Sentebale. The day began with a meeting with the Prime Minister of Lesotho, Dr. Pakalitha Mosili. Prince Harry also met with His Majesty King Letsie III of Lesotho. For more information about today’s opening as well as to view photos please click the links below. And, finally, here is the 2004 documentary, that you may enjoy entitled, The Forgotten Kingdom: Prince Harry in Lesotho. 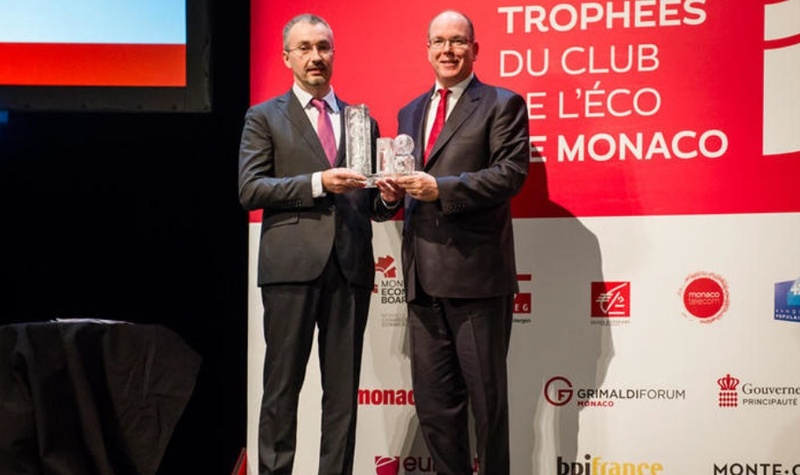 (VIDEO) HSH Prince Albert II of Monaco Attends an Award Ceremony. 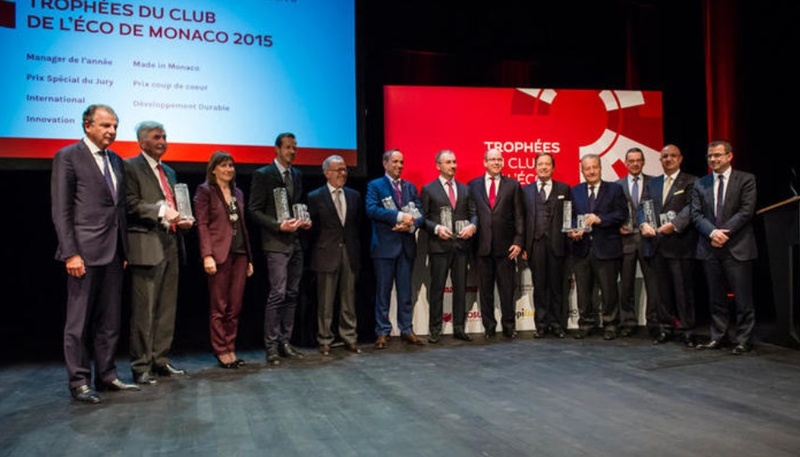 On the evening of November 24, 2015, His Serene Highness Prince Albert II of Monaco attended the 4th Edition of the Trophées du Club de l’Éco Monaco award ceremony held at the Grimaldi Forum in Monte-Carlo. 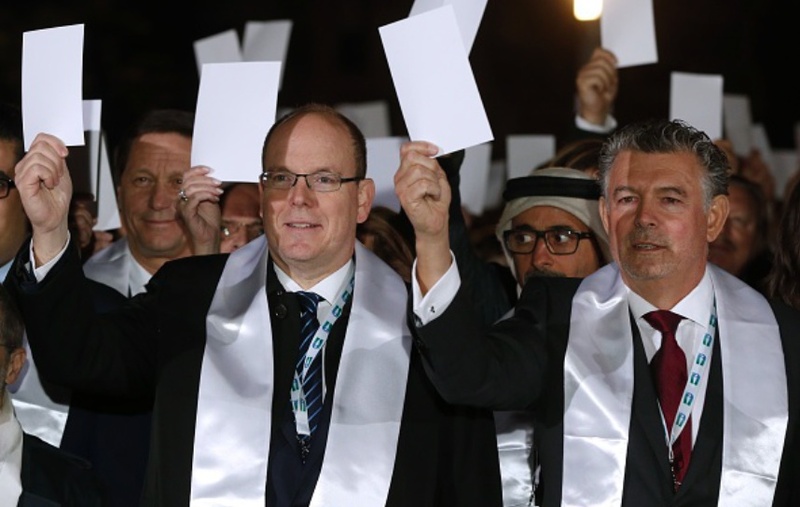 (VIDEO) HSH Prince Albert II of Monaco Participates in a Symbolic Walk for Peace. On the evening of November 25, 2015, His Serene Highness Prince Albert II of Monaco participated in the 2015 Peace and Sport Walk in Monte-Carlo. Dozens of individuals including various political leaders and state representatives from around the world participated in Wednesday night’s walk. The event, which began at the Place du Casino to the forecourt of the Grimaldi Forum, was held ahead of the opening of the 8th Edition of the International Peace and Sport Forum.